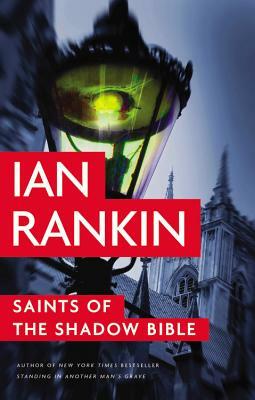 Rebus and Malcolm Fox go head-to-head when a thirty-year-old murder investigation resurfaces, forcing Rebus to confront crimes of the past. Rebus is back on the force, albeit with a demotion and a chip on his shoulder. He is investigating a car accident when news arrives that a case from thirty years ago is being reopened. Rebus' team from those days is suspected of helping a murderer escape justice to further their own ends. Malcolm Fox, in what will be his last case as an internal affairs cop, is tasked with finding out the truth. Past and present are about to collide in shocking and murderous fashion. What does Rebus have to hide? And whose side is he really on? His colleagues back then called themselves "The Saints" and swore a bond on something called the Shadow Bible. But times have changed, and the crimes of the past may not stay hidden much longer--and they may also play a role in the present, as Scotland gears up for a referendum on independence. Allegiances are being formed, enemies made, and huge questions asked. Who are the saints and who are the sinners? And can one ever become the other?